If you like flavours from the best of lemons, then you will love this phenomenal liqueur and if you are not a fan of lemons – still try a little and you may find yourself converted. In creating this Liquore di Limone, the maestro insists on fragrant Amalfi lemons; these are picked at the end of spring when the lemon oil is at its most aromatic. 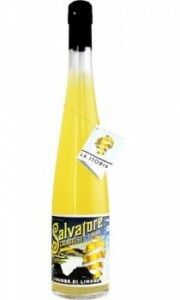 Salvatore specifics that only the best Eau de Vie – “the noble cognac” – should be used to infuse the lemon zest. He also requires that the lemon zest is left to infuse slowly for a full five weeks. Enjoy this Liqueur straight at room temperature, chilled over ice, straight from the freezer or at the centre of a cocktail, and you will savour the work of an undoubted maestro. My favourite is with a little more cognac, topped up with tonic, lemon and ice.